Yesterday someone humbled me by listening. She didn’t just nod, smile and walk away. Instead, Mareshah Lynch took action and made me feel special. Mareshah Lynch is the patient counselor at Eye Care of Maine. She works with Peter Kohler, MD, an Ophthalmologist who is a LASIK and Premium Cataract Surgery Specialist in Waterville, Maine. Yesterday I visited Eye Care of Maine’s surgical facility because they are a LASIK client of Sightpath Medical. My trip to Maine was short, only one evening and part of a day to observe cases with Dr. Kohler. Prior to beginning surgical cases for the day, I told Mareshah and Dr. Kohler that no opportunity to have Maine Blueberry pie presented itself during my visit. 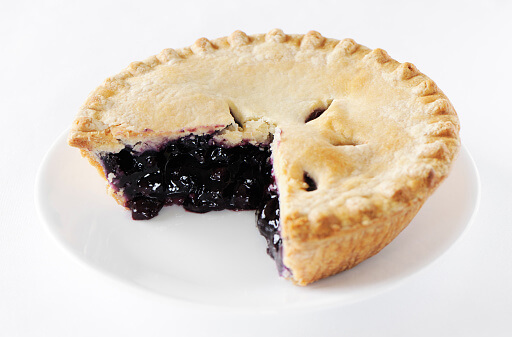 Mareshah commented that she was not aware I liked Maine Blueberry pie. I told her the story of my wife’s and my trip to Maine a few years back during the blueberry season and also about reading the story to my young children called, “Blueberries for Sal.” Both are fond memories for me. After the LASIK case was finished, I went into the breakroom of the surgery center and what do you think I found? That’s right, a Maine Blueberry Pie. I ate a slice and the sweetness of the blueberries coupled with sugar-topped pastry crust almost made me cry. After our morning conversation, because Mareshah listened and took action, she sent one of the staff from the office to get a Maine Blueberry pie from a little bakery up the street. She has never eaten pie from this bakery, but several patients told her it was excellent, and it is close to the office. I am grateful Mareshah did this for me. She didn’t have to and it showed me why she is a successful patient counselor. Mareshah is a person who listens, cares and takes action. A rare and powerful combination indeed! I wrote about turning Fifty before and still, I am humbled by people I encounter in my life. It’s funny, for me at least, the action oriented people get along in life. Do you think about listening and taking action? I do, and I love it when an event in my life reinforces my curiosity. Thank you, Mareshah Lynch. You made my visit to Maine complete and Dr. Kohler is lucky to have you on his team! I am sure that there are some stories somewhere in my brain. But they’ve all been crowded out by the thought of Maine blueberry pie. Yum! On a serious note Joel, you yourself are an excellent listener. Takes one to know one I guess.